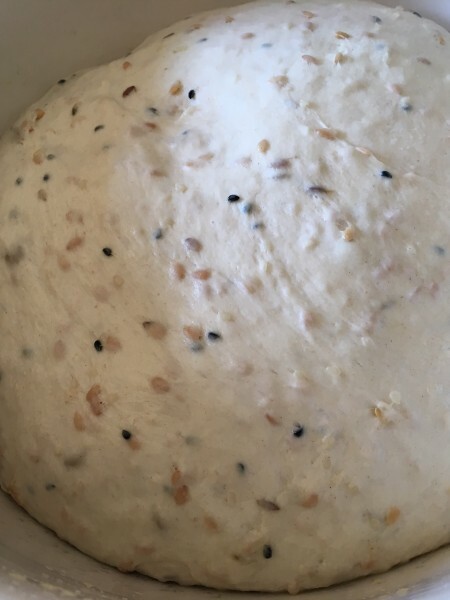 If you want to start making bread I suggest you start with flatbreads. They are incredibly easy and fun to make and though I may eat my words, very little can go wrong. If you have a Kitchen Aid you don’t even have to break a sweat with the kneading. I have made 8 from this batch but you could double that if you wanted to serve dinky-sized breads. 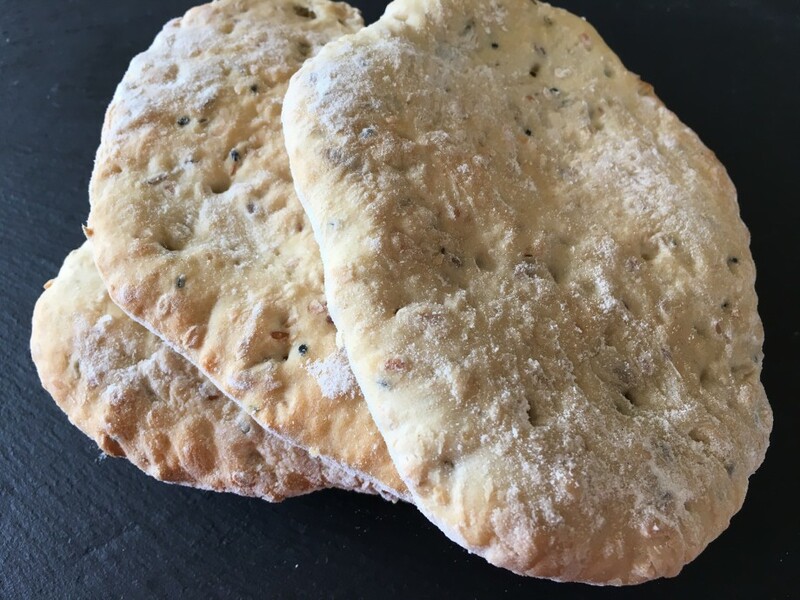 For a charred flavour you can cook these flatbreads in a dry frying pan for about 2-3 minutes each side. With the pan cooking though, they need to be really thinly rolled out to cook through. Place the flour and all the seeds in a mixing bowl (or bowl of a Kitchen Aid mixer). Put the salt on one side and the yeast on the opposite side. Make a little well in the centre and pour in the olive oil and 330ml water. 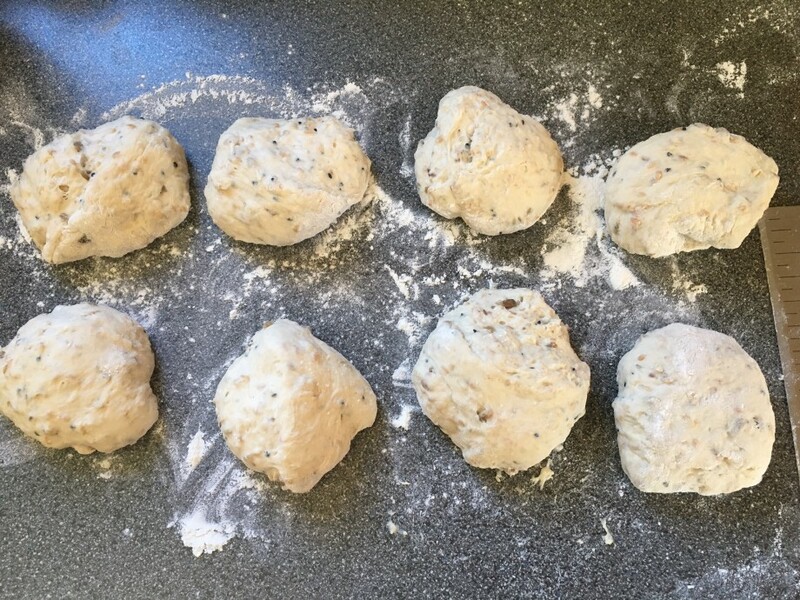 Start to bring the mixture together until you have a slightly sticky dough. Turn out onto a floured surface and knead for 10 minutes. Or, with the dough hook attached, work the mixture in a food mixer for 5 minutes until smooth and springy. Lightly oil a large clean bowl and put in the dough. 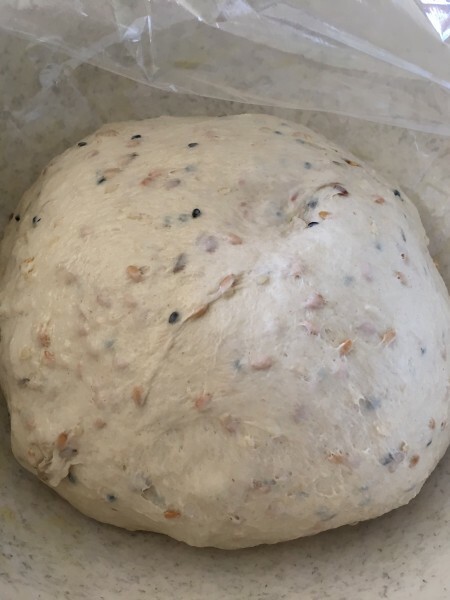 Cover with cling film and leave in a warmish place for about 2 hours, until the dough has doubled in size. Heat the oven to 220˚c, fan oven 200˚c, mark 7. 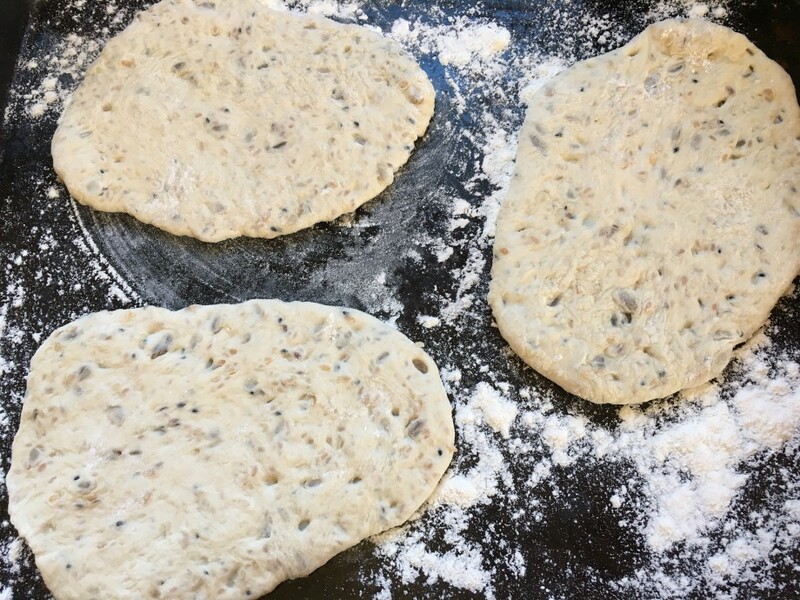 Knock back the dough and place on a floured surface. Knead for a few minutes. Divide into 8 equal-sized pieces and leave for 10 minutes. Roll out each piece into a rough oval to a thickness of about 3mm. Dust 2 baking sheets with a little flour and place 3 or 4 flatbreads on each. Bake in the oven for 12-15 minutes until light golden. Take out of the oven and cover with a clean tea towel. Serve within 24 hours.